The Authentic went on a diet and came out slim and trim, offering up a modern look and fit that doesn~t skimp on classic Vans styling. 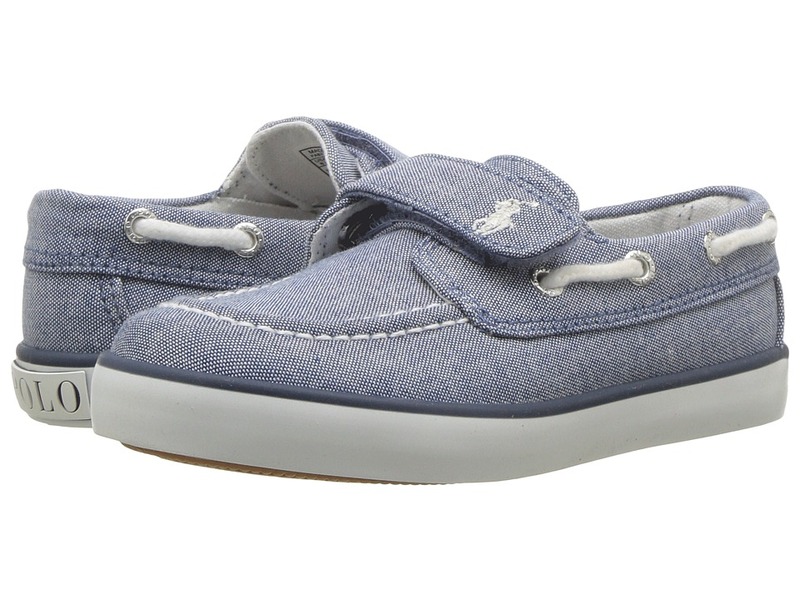 Uppers of washed canvas or premium chambray for a distinct vintage look. Double stitched vamp and heel for added durability. Classic Vans logo label tag on side. Soft textile lining and cushioned EVA footbed for supreme comfort. 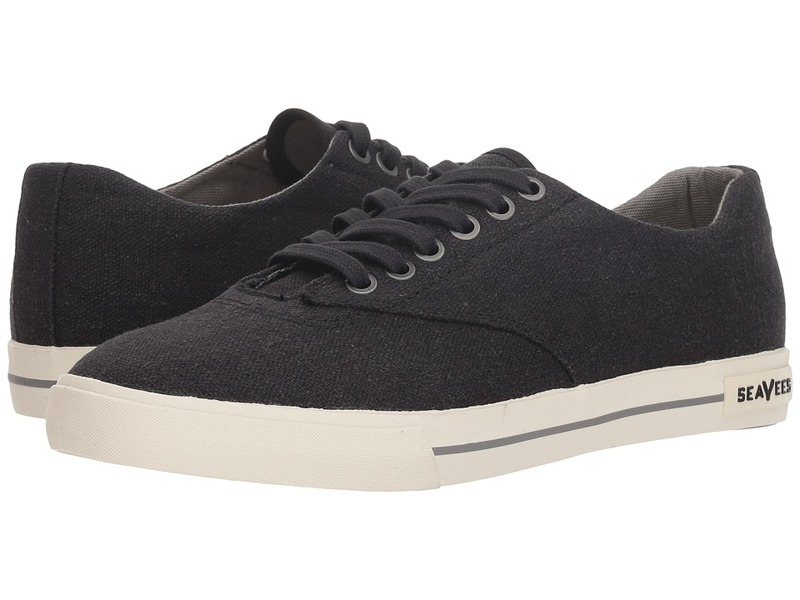 Vulcanized construction for a slimmed-down look. 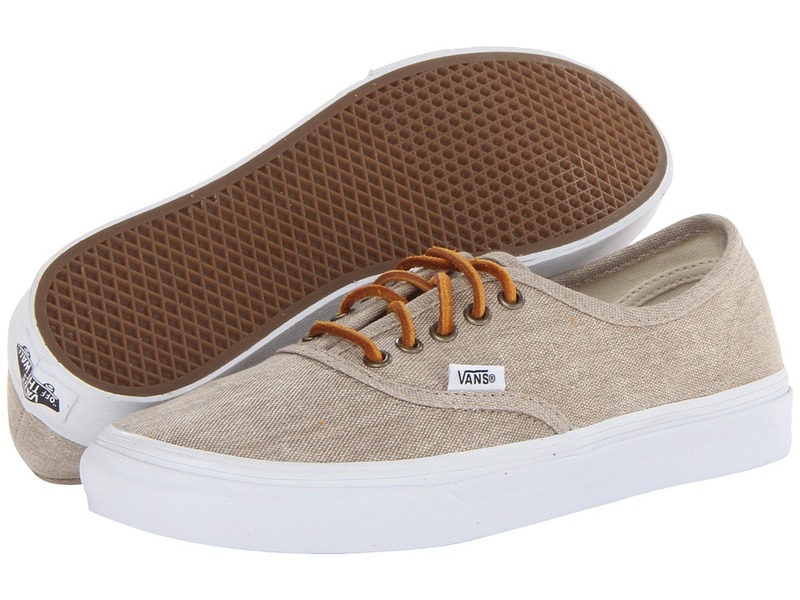 Gum rubber outsole with Vans~ classic waffle tread. Measurements: Weight: 12 oz Product measurements were taken using size Men~s 9, Women~s 10.5, width Medium. Please note that measurements may vary by size. Weight of footwear is based on a single item, not a pair. All See Kai Run shoes are designed to promote healthy foot development in kids. Awarded the Seal of Acceptance from the American Podiatric Medical Association (APMA). 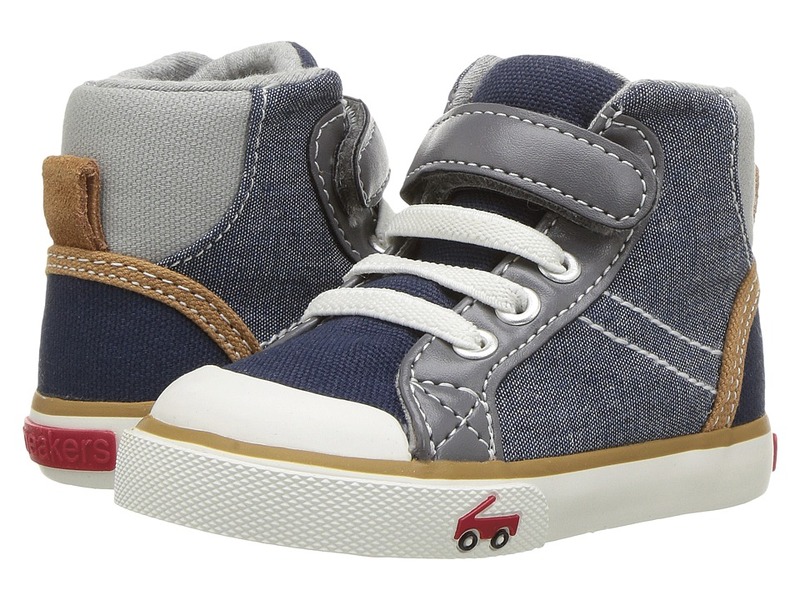 The Dane sneaker will keep your little guy styling! 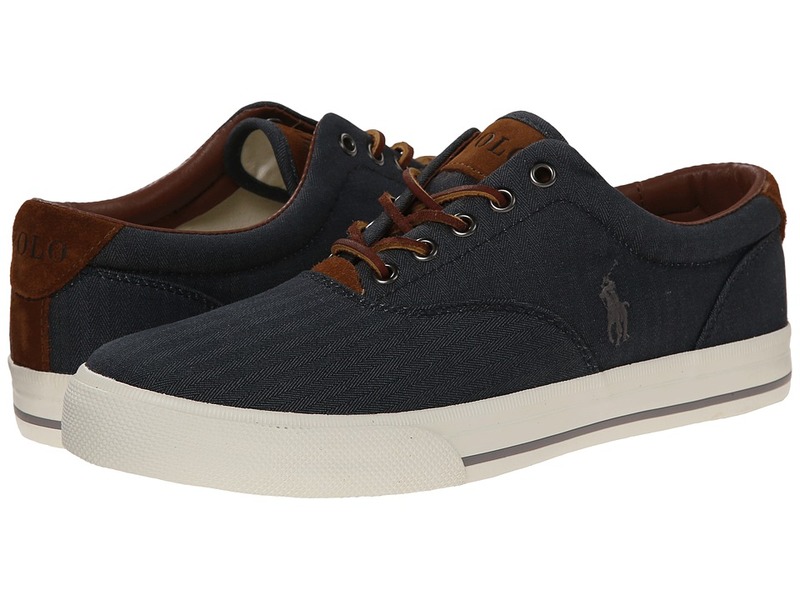 Canvas upper with elastic laces and hook-and-loop closure for a secure fit. 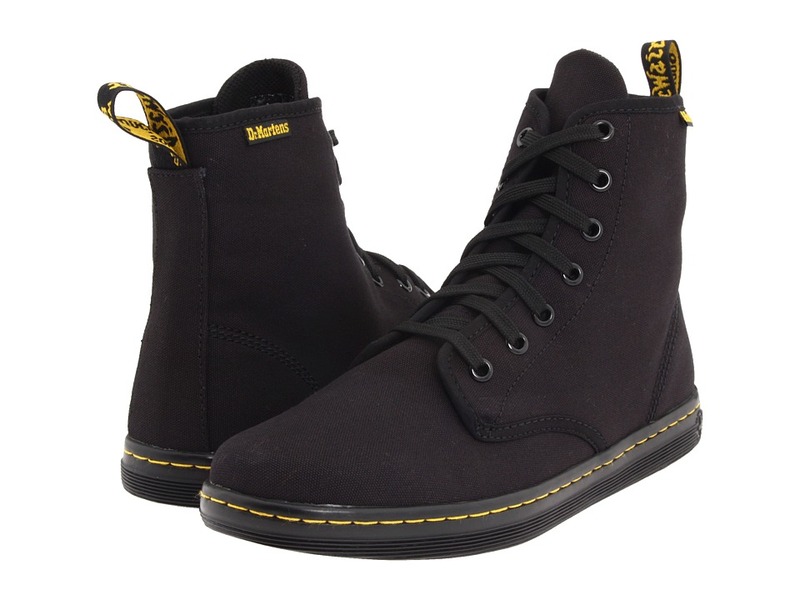 Padded tongue and collar offer additional comfort. Breathable fabric lining ensures an abrasion-free environment for all-day wear. Generously cushioned footbed massages the foot with each and every step. Vulcanized rubber outsole is flexible and durable. Imported. Measurements: Weight: 6 oz Shaft: 3 3 4 in Product measurements were taken using size 12.5 Little Kid, width M. Please note that measurements may vary by size. Weight of footwear is based on a single item, not a pair. 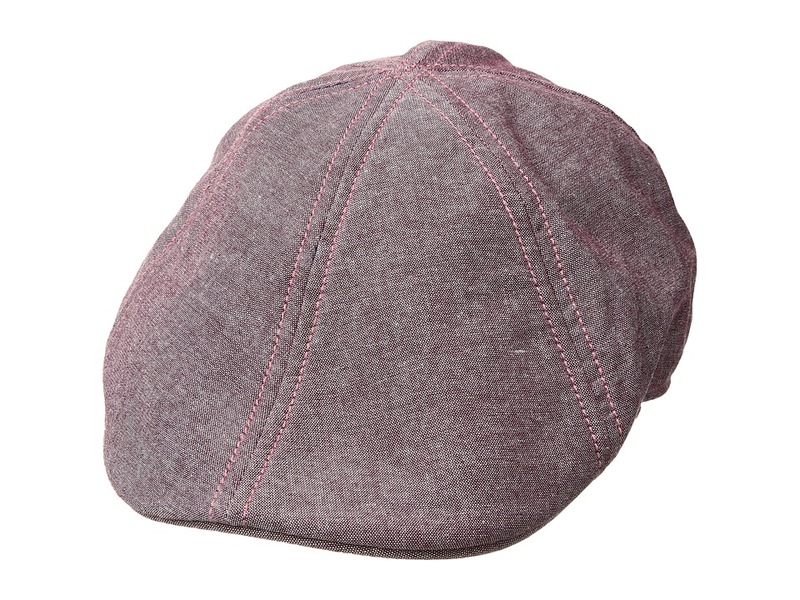 Perfect your simple and straightforward style with the Goorin Brothers Mr. Bang cap! 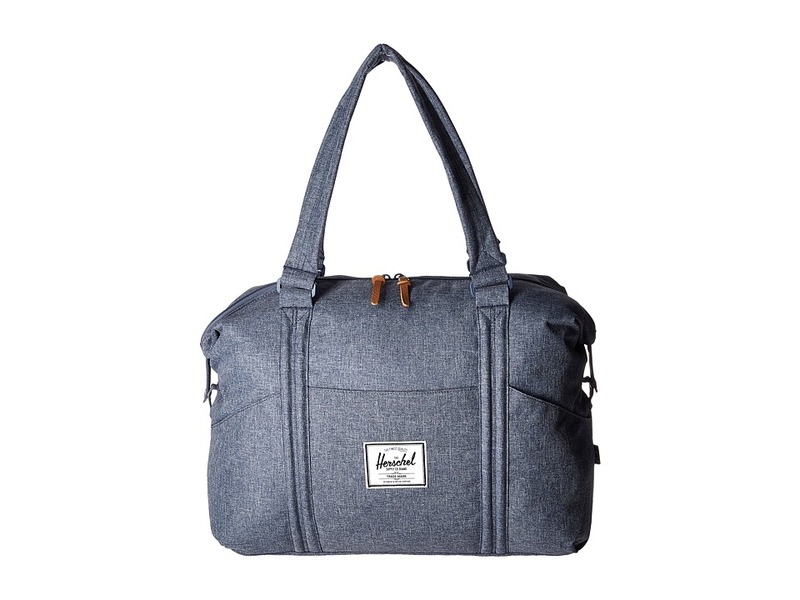 Chambray design throughout. Brand logo patch at back. Brim offers stylish protection from the sun. Interior hatband offers all-day comfort. Lined interior. 100 percent cotton. Machine wash cold, tumble dry low. Imported. Measurements: Circumference: 24 in Brim: 2 in Product measurements were taken using size LG (7 3/8). Please note that measurements may vary by size. 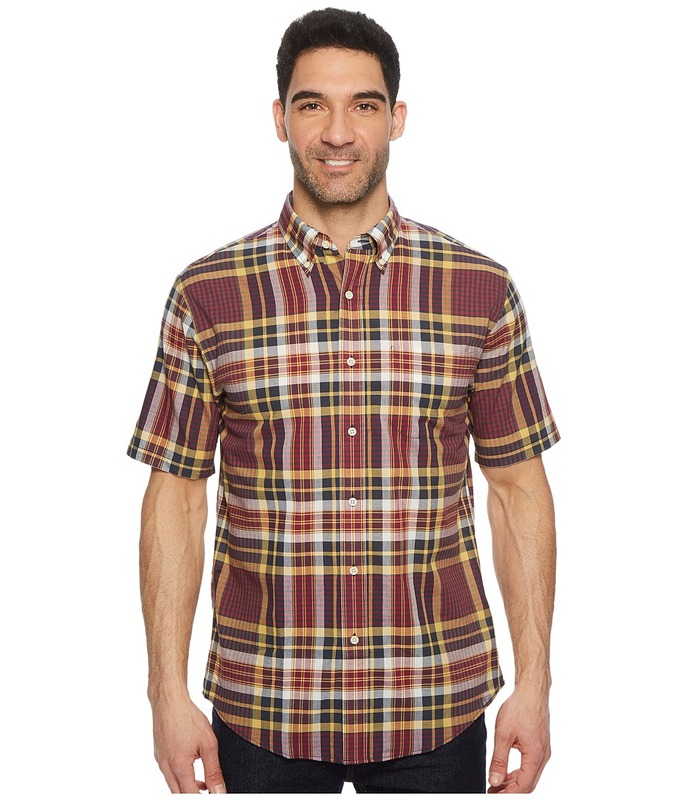 Relax in the unbridled comfort of the lightweight Pendleton Seaside Shirt. Authentic madras is woven in India and pigment-dyed for striations that create the image of texture. Classic fit. Short sleeve, button-up shirt. Button-down collar. 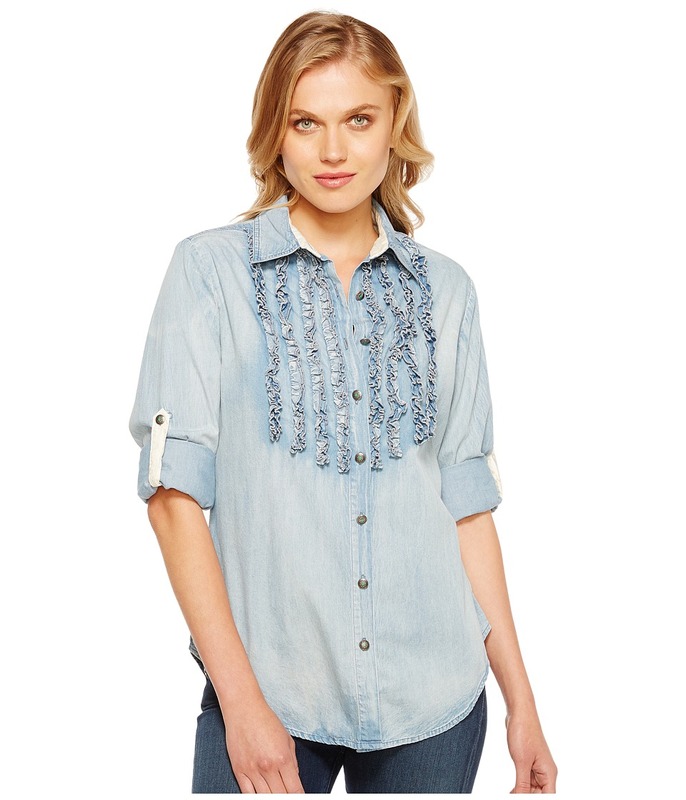 Chambray-lined collar. Print-matched chest pocket. Straight back yoke with center box pleat and hanger loop. Shirttail hemline. 100 percent cotton. Machine wash cold, tumble dry low. Imported. Measurements: Length: 33 in Chest Measurement: 48 in Product measurements were taken using size LG. Please note that measurements may vary by size. Burton advises that inseam measurements may vary by size. Please refer to their size chart. 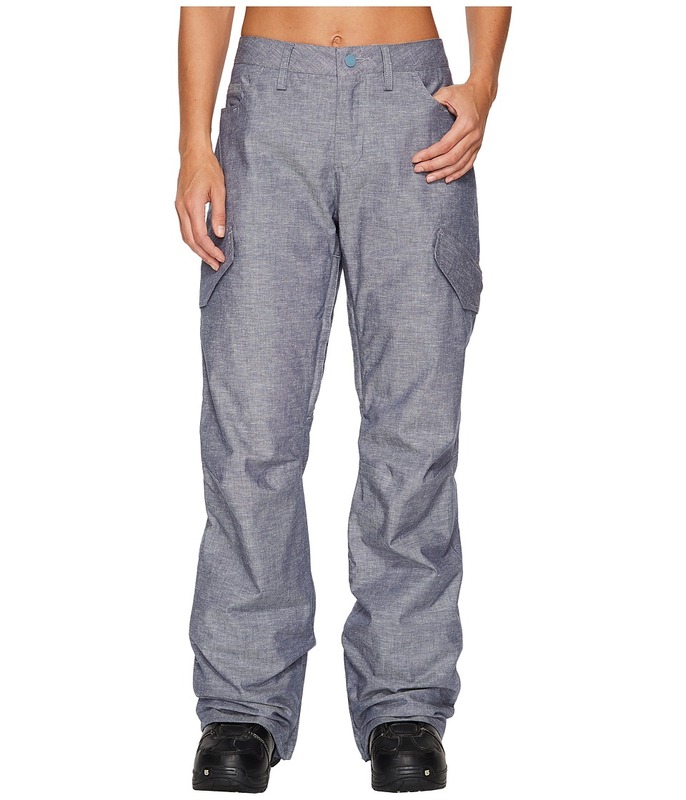 Fight the cold and take on the slopes with confidence in the Burton Fly Pant. DRYRIDE Durashell 2-layer material [10,000MM/5,000G] provides for breathable protection against harsh weather conditions. Mesh-lined inner thigh zip vents will cool you down quickly when cold mornings turn into warm afternoons. Mapped with mesh and taffeta lining for a superior wear. Fully taped seams. Sig fit. Belt loop waist with inner hook-and-loop adjustable sides. Double button front closure with zip fly. Zip hand pockets. Left pocket has inner strap with clip. Right pocket has inner hook-and-loop pocket. Hook-and-loop back pockets. Hook-and-loop flap cargo pockets with zip. Leg gaiters with boot lace hook. Shell: 100 percent nylon. Membrane: 100 percent PU. Mesh lining: 100 percent polyester. Taffeta lining: 100 percent nylon. Machine wash cold, tumble dry low. Imported. Measurements: Waist Measurement: 32 in Outseam: 42 in Inseam: 33 1 2 in Front Rise: 9 in Back Rise: 14 in Leg Opening: 20 in Convertible Inseam: 24 in Product measurements were taken using size SM, inseam 33.5. Please note that measurements may vary by size. Get decked out in something that makes a statement and let~s ~em know where you hail from. 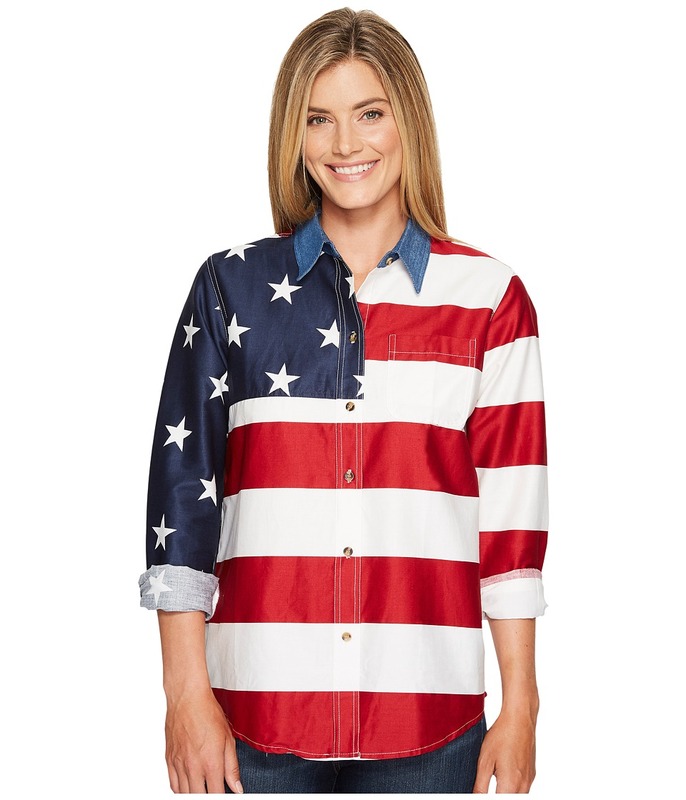 Bold American flag inspiration. Point collar in a contrast chambray. Full button front. Long sleeves with button cuffs. Shirttail hemline. Machine wash cold, tumble dry low. 100 percent cotton. Imported. Measurements: Length: 28 in Product measurements were taken using size SM. Please note that measurements may vary by size. 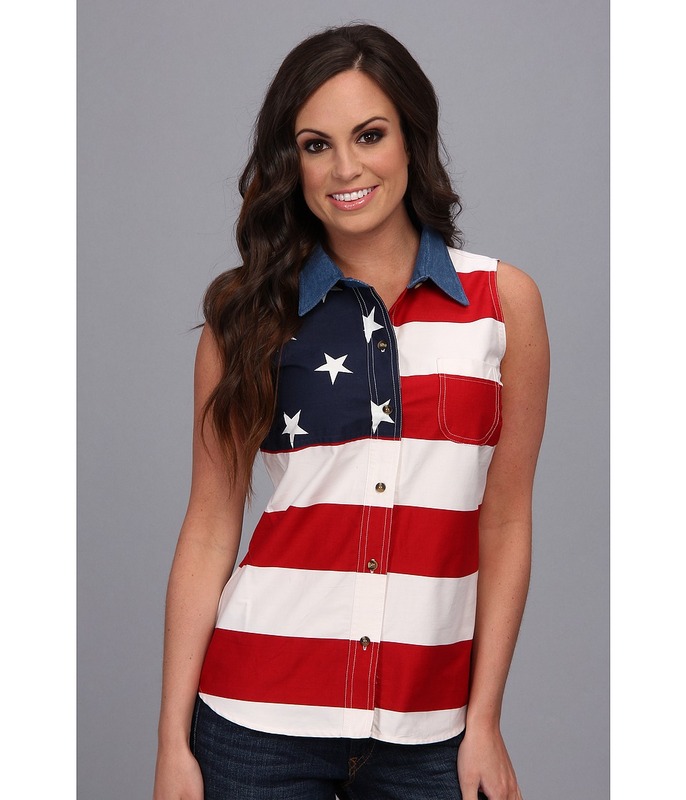 Get decked out in something that makes a statement and let~s ~em know where you hail from. 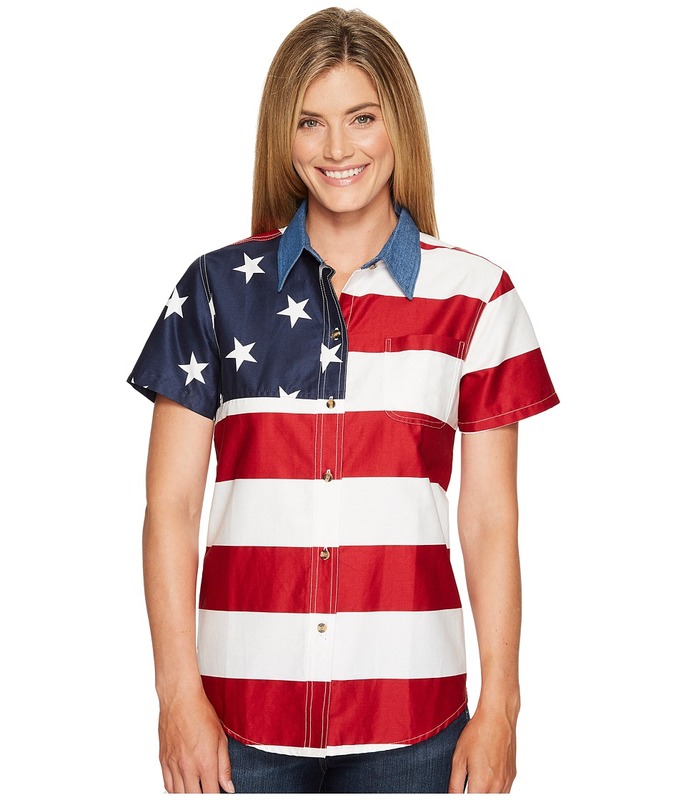 Bold American flag inspiration. 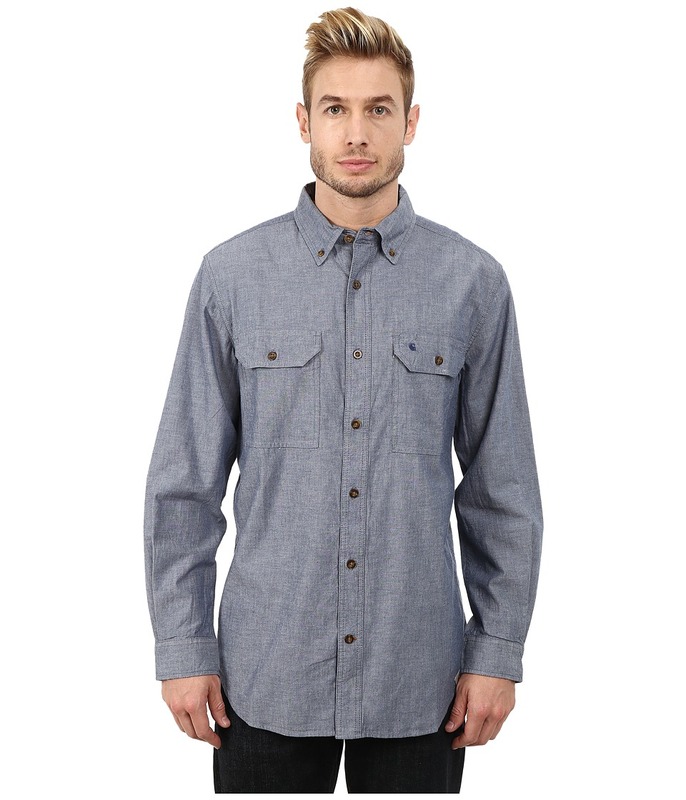 Point collar in a contrast chambray. Full button front. Short sleeves. Shirttail hemline. Machine wash cold, tumble dry low. 100 percent cotton. Imported. Measurements: Length: 27 in Product measurements were taken using size SM. Please note that measurements may vary by size. Get decked out in something that makes a statement and let~s ~em know where you hail from. Bold American flag inspiration. 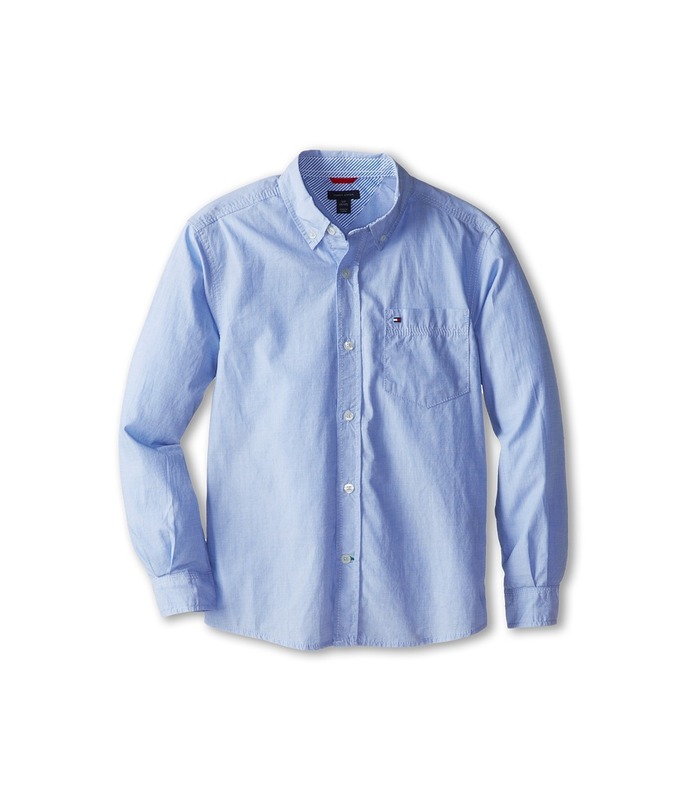 Point collar in a contrast chambray. Full button front. Sleeveless design. Shirttail hemline. Machine wash cold, tumble dry low. 100 percent cotton. Imported. Measurements: Length: 27 in Product measurements were taken using size XS. Please note that measurements may vary by size. This tough twill work short can handle anything your day throws at it. Ring-spun chambray is garment washed for a soft finish and reduced shrinkage. Point collar with button stays. Button-up front. Long sleeves with button cuffs. Dual chest pockets with mitered button-flap closures. Straight back yoke. Woven logo label at front. Shirttail hemline. 100 percent cotton. Machine wash cold, tumble dry low. Imported. Measurements: Length: 32 in Chest Measurement: 44 in Sleeve Length: 32 in Product measurements were taken using size MD (Reg). Please note that measurements may vary by size.